When we commit to changing our health, weight and fitness levels, it’s a challenge. But sticking to it can sometimes seem impossible. And before you know it, you’ve lost the will completely and find yourself back at square one. If this cycle of ups and downs in your health and fitness routine sounds familiar, you’re not alone. The key is to stay motivated. Here’s some advice to keep you going no matter what your focus or your goals. 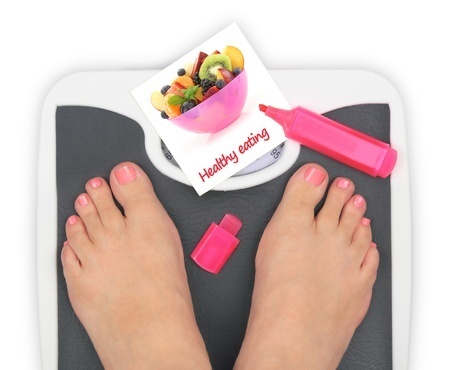 So you’ve embarked on a health kick and you’re eating sensibly and exercising regularly. You start slowly and build-up but find yourself getting bored with eating the same food and frustrated by not seeing any revolutionary results. Don’t give up. Instead, mix up your approach to what you eat and how you exercise. Changing things up will also keep your mind focused, challenged and stimulated to attempt something new and different. Try new recipes and different styles of exercising which will fire-up all muscle groups for an added toning boost. Good fats are essential for great health as they are needed for nerve activity, mental wellness, vitamin absorption, protecting your heart, immune system functioning and cell health. Don’t get us wrong, low-fat products are the right choice but you still need to include good fats into your diet. Good fats are found in nuts, soy, soymilk, sunflower, sesame and pumpkin seeds, avocados, olives, peanut butter, olive oil, certain fish (salmon, tuna, mackerel, herring, trout and sardines) and tofu. If you are not getting good fats on a daily basis, take an omega- 3 and 6 supplement. Try swopping fatty foods for healthier options like olive oil instead of vegetable oil, low-fat cheese instead of cheese, low-fat milk instead of full cream, frozen yoghurt instead of ice cream, lean meats instead of fat covered meats like bacon or pork chops. Also, avoid baked goods like cookies, muffins, pizza dough and oily crackers and fried foods like donuts, chips, fried chicken, etc. Aim for more or less 8 glasses of water per day to keep your body hydrated and to allow your body’s metabolic processes to function optimally. Often when we are tired, have a headache or are hungry it is actually our body telling us that we need water. Keep a jug or bottle of water within reach to make sure that you get all the water you need. And up your intake on hot days or when exercising to enable your body to function comfortably at higher temperatures. Drinking alcohol is like eating a caramel covered donut. It has no nourishment, is bad for your blood sugar level and is high in calories. It also inhibits your fat-burning ability and promotes fat storage. Alcohol lowers your inhibitions, making you more likely to stray away from your healthy eating goals and make poor food choices such as white bread or junk food. That evening or the day after you will feel tired and sluggish or have a vicious hangover preventing you from exercising. Alcohol can even prevent you from having restful sleep. One glass every now and then probably won’t throw you off course but remind yourself of the calorie content before you decide on a top-up. You need to eat 3–5 servings of vegetables per day in order to be healthy. Vegetables are great as they are so low in calories it is highly unlikely you will ever gain weight even if you over-eat on them. They contain vitamins and nutrients that help you to look and feel great and are rich in fibre, promoting an optimally functioning digestive system. Keep your potato servings to a minimum and rather choose other vegetables that are richer in nutrients and fibre. You should eat breakfast, a snack, lunch, a snack and then dinner every day. How often you eat can keep both your metabolism and your energy levels up. It also helps to keep you slim and trim, more level-headed and focused and helps you to avoid cravings. The G.I. Lean lifestyle focuses on eating 5 balanced Low-GI meals a day in order to have a healthy body. Junk food and takeaways tend to be high in calories, low in nutrients and usually contain bad fats, preservatives, loads of sugar, and harmful chemicals. Junk food is mostly processed food which has been stripped of nutrients. Eating junk food piles on body fat and can cause obesity, vitamin deficiencies, energy problems, heart disease and diabetes! Foods that are Low-GI help to balance your blood sugar level and promote healthy energy levels. Great energy levels and a well-functioning metabolism go hand in hand. Low-GI foods can also help you to stay satisfied for longer and help your body to use up your unwanted fat stores. In our daily diet it is incredibly hard to get all the vitamins and minerals we need. Even if we eat a clean diet with lots of vegetables, fruit and the correct portions of fats, proteins and carbs, we will still miss out on some of the nutrients our body needs. So, taking a multivitamin can be hugely beneficial to your overall health and lead to increased energy levels, glowing skin and healthy hair and nails.